Get some historical perspective at La Brea Tar Pits and Museum and Hollywood Walk of Fame. Your itinerary includes some good beach time at Venice Beach and Boardwalk and Santa Monica State Beach. Get out of town with these interesting Los Angeles side-trips: Dolphin & Whale Watching (in Dana Point), Santa Monica (Third Street Promenade, Montana Avenue, & more) and Pacific Marine Mammal Center (in Laguna Beach). Have a day of magic on the 27th (Mon) at Disneyland Park. Pack the 31st (Fri) with family-friendly diversions at Universal Studios Hollywood. 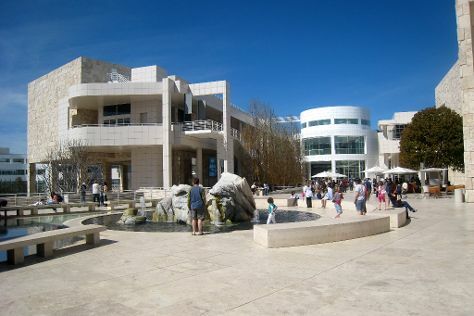 The adventure continues: examine the collection at The Getty Center, enjoy the sand and surf at Will Rogers State Beach, identify plant and animal life at Westridge-Canyonback Wilderness Park, and take a peaceful walk through Oak Canyon Nature Center. To see maps, ratings, reviews, and more tourist information, read our Los Angeles trip planner . If you are flying in from Australia, the closest major airports are Los Angeles International Airport, John Wayne Airport-Orange County Airport, Ontario International Airport and San Bernardino International Airport. Expect a daytime high around 28°C in May, and nighttime lows around 17°C. Finish your sightseeing early on the 3rd (Mon) so you can travel to San Francisco. Start off your visit on the 4th (Tue): buy something for everyone on your list at Ferry Building Marketplace, then hunt for treasures at Ferry Plaza Farmers Market, then take a leisurely stroll along Fisherman's Wharf, and finally head off the coast to Alcatraz Island. Get ready for a full day of sightseeing on the next day: engage your brain at Exploratorium, then contemplate the long history of City Lights Booksellers, and then wander the streets of Union Square. To find ratings, where to stay, and other tourist information, use the San Francisco trip planner . You can fly from Los Angeles to San Francisco in 4 hours. Alternatively, you can do a combination of flight and train; or drive. In June, San Francisco is slightly colder than Los Angeles - with highs of 25°C and lows of 15°C. On the 6th (Thu), wrap the sightseeing up by early afternoon so you can travel back home.